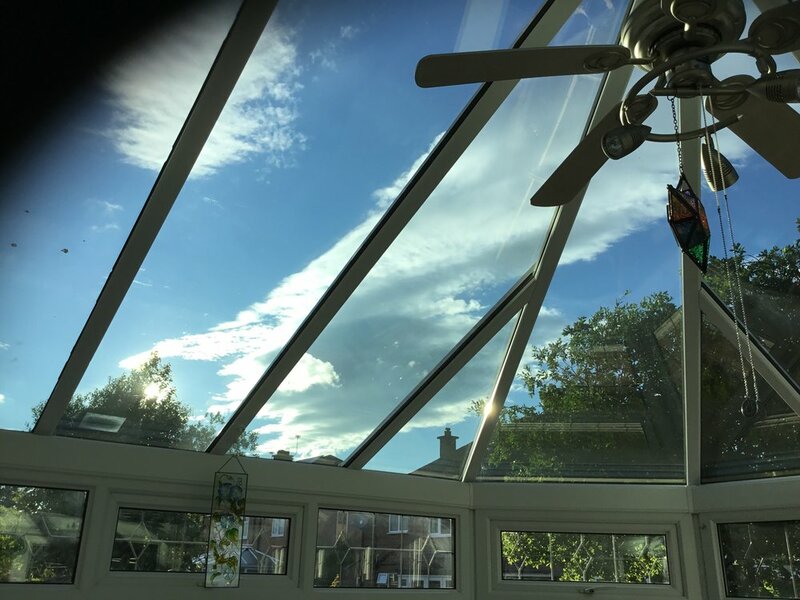 Celsius Elite Glass conservatory roof upgrade! Let light inside! We took this polycarbonate roof that was noisy,too cold in winter and too hot in summer and transformed the space to a room for all seasons with blue sky views. This clever glass has self cleaning technology and climate control coatings.